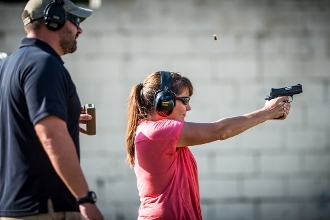 We are pleased to announce an upcoming Women Only pistol course. We are offering a structured, practical course of instruction in a safe, comfortable environment. This course will include nomenclature, proper loading, unloading, and manipulation. We will build from these skills to drawing from a holster and practicing proven techniques to make you a confident, practical shooter. No previous training is required - just a safe, positive mindset. The student will receive quality range time with professional instructors to determine what works best for their own circumstances.